Back Row (left to right): Thomas J. Coates, Hiram Brock, J.W. Cammack, Charles Weaver; Front Row: Jere Sullivan, George Colvin. 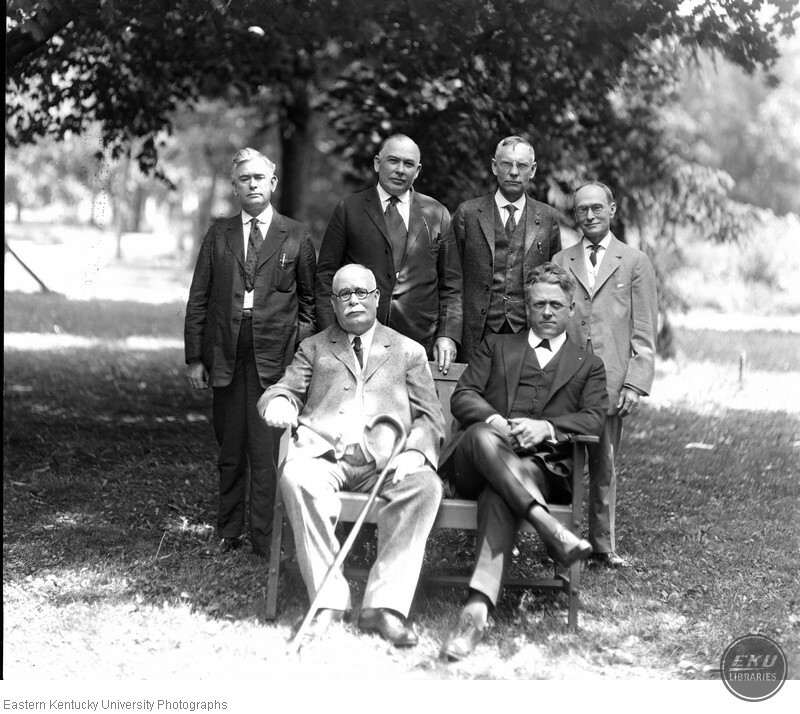 “Eastern Board of Regents,” Digital Collections, accessed April 23, 2019, https://digitalcollections.eku.edu/items/show/33290.